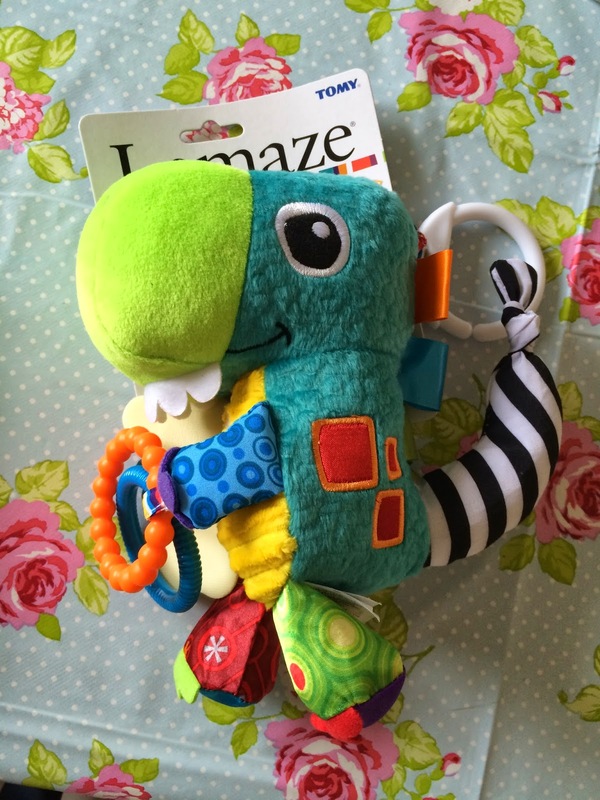 Mrs Bishop's Bakes and Banter: Torin the T Rex from Lamaze! 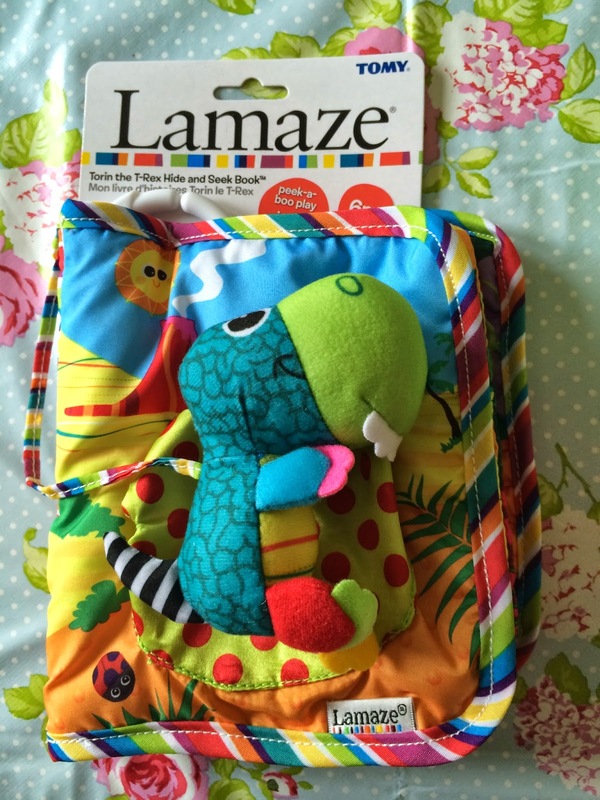 We are a huge fan of Lamaze toys. Bert was bought some as gifts in the first few months after his arrival, and we loved them instantly, soon going on to purchase many more to add to Bert's collection. 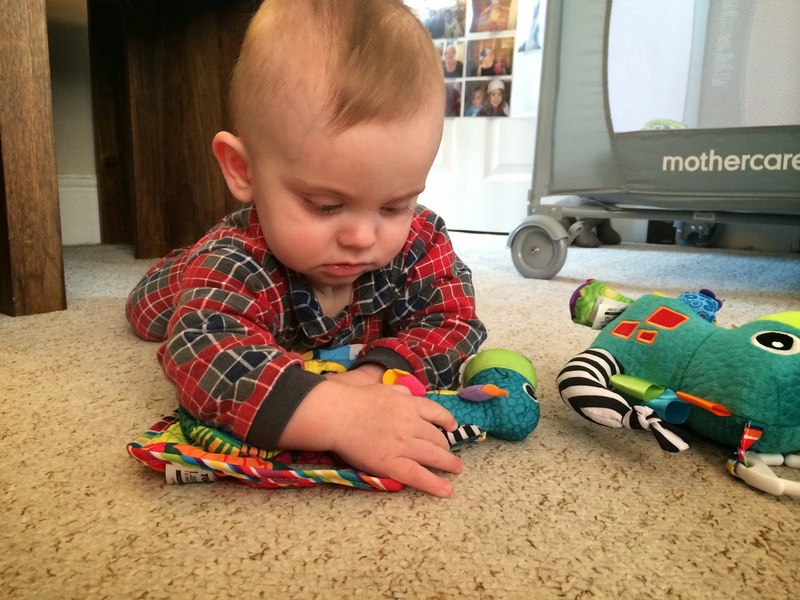 So, when Lamaze approached us and asked if we'd road test some of their latest toys we jumped at the chance. Before we knew it a parcel had arrived and we had two newbies to add to our collection - the wonderful Torin the T-Rex, and the accompanying Hide and Seek book. Lucky Bert! Torin in all his glory! 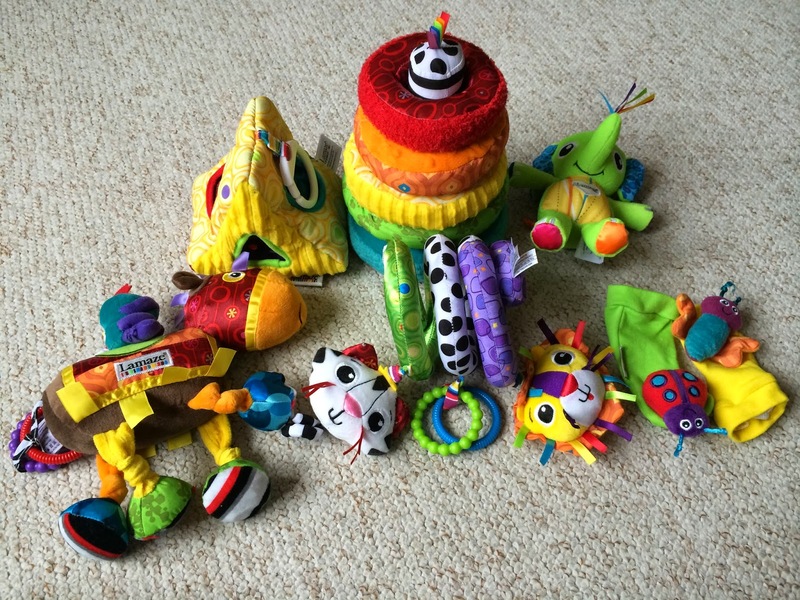 Both toys contain a mixture of different sensory fabrics, colours, bold patterns, squeakers, crinkly bits and hoops to attach them to a buggy/highchair. 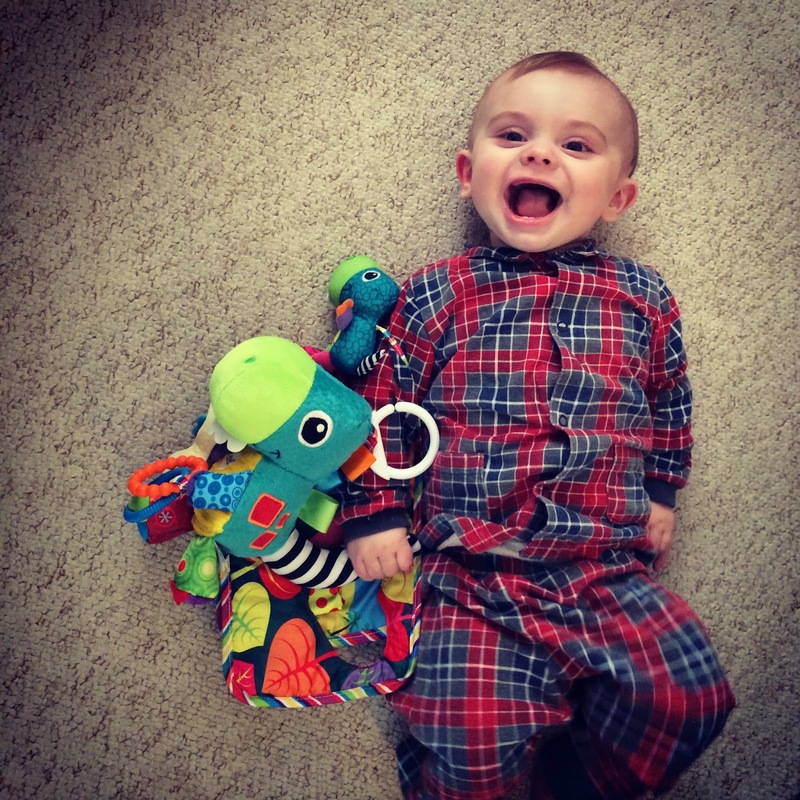 The large Torin has teething rings attached perfect for chomping on, and both toys are suitable for babies from 0 months +. 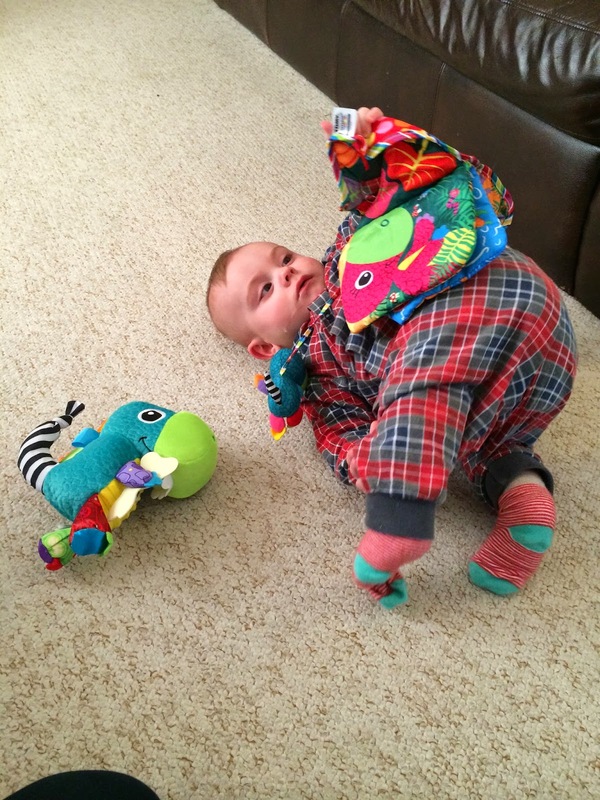 my son does get himself into some funny positions! Look at that face!! Soooo happy with his new dino buddy! Is this not just the most adorable thing ever? 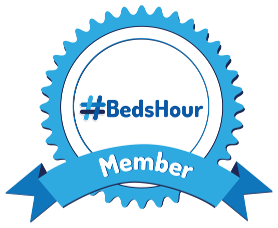 As usual I am impressed with the quality of these toys, and they don't disappoint in terms of their gorgeous design, sensory interest for our little ones, and how easy the toys are for Bert to hold, bite, and cuddle. 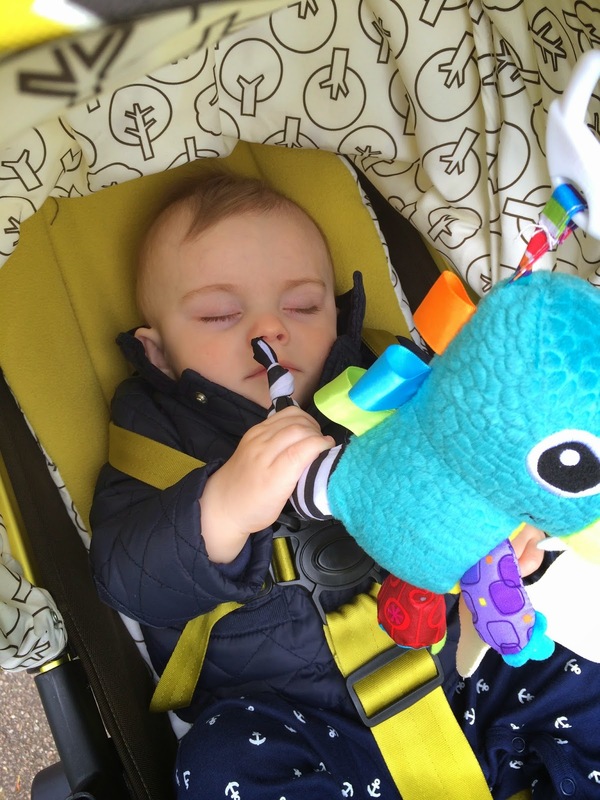 Also great that they loop onto his buggy for our outdoor escapades - they tick every box for me! The book is a lovely toy to share with Bert as we can sit together and turn the pages (without the fear of him ripping them in excitement), and weave Torin through the holes in the pages playing hide 'n' seek. The fact that the tiny Torin is firmly attached by a length of ribbon to the book, is brilliant, as there is no fear of him being dropped and lost, like The Captain. 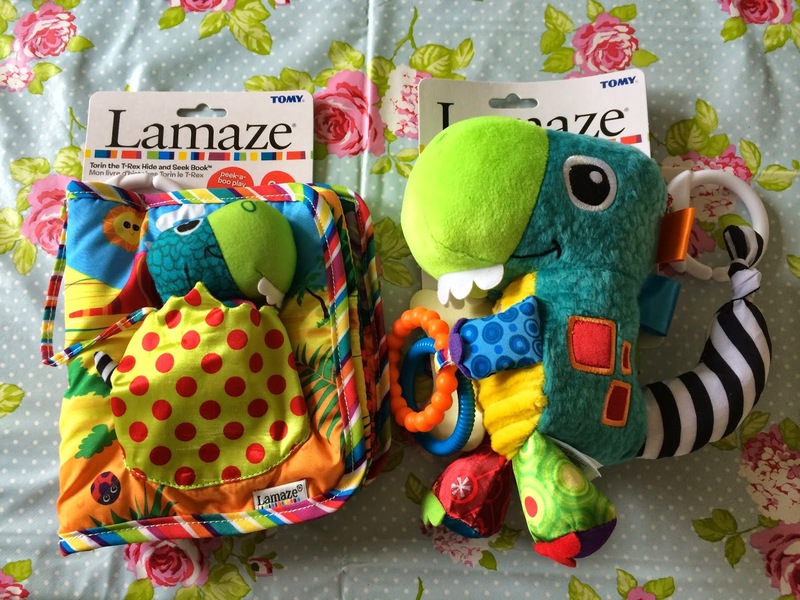 I would highly recommend any of the Lamaze range, and will continue to buy Bert these wonderful toys for as long as he'll keep playing with them. 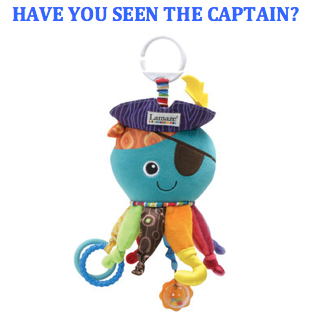 Lamaze has just launched a FABULOUS competition over at BabyWorld.co.uk where you can be in with a chance of winning lots of Lamaze goodies by submitting a story idea using a Lamaze character as the central character…the top prize winner get's their story made into a real life Lamaze book!!! 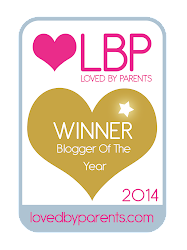 Happy toy playing to all my readers with little ones! 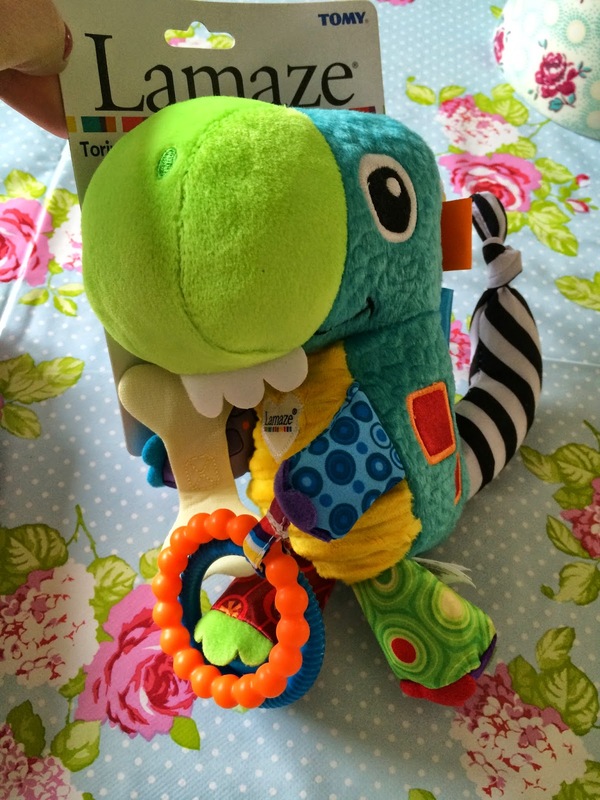 Disclaimer: We were sent a Torin The T-Rex toy and book for the purpose of this review. 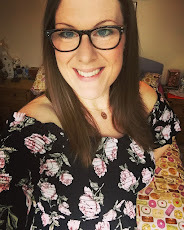 As usual, all words, pictures and opinions expressed are my own.